The last Chili's album was poor. I mean, poor by their previous standards. As a standalone album it's fine but nothing special at all. I did review it on this site, click here if you're interested. But the one true highlight, the one true spark of excellence is with this song. 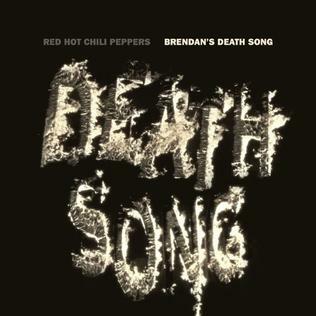 It's an incredibly beautiful song, dedicated to Brendan Mullen, who owned a punk rock club back in the early Eighties and are arguably responsible for giving the Chili's their big break over thirty years ago. He died a few years before the song came out and it's just a really lovely tribute. Even as a standalone song, without the sentiment behind it, the song manages to carry itself with such grace and strength, and I love how it builds up really well. Musically it's just "right" in every way possible. It's true Chili's on form. It's just a shame the rest of the album wasn't anywhere near as good as this gem of a track. If you missed #80 go here.